In the fall of 1999, New York Times education reporter Jacques Steinberg was given an unprecedented opportunity to observe the admissions process at prestigious Wesleyan University. Over the course of nearly a year, Steinberg accompanied admissions officer Ralph Figueroa on a tour to assess and recruit the most promising students in the country. 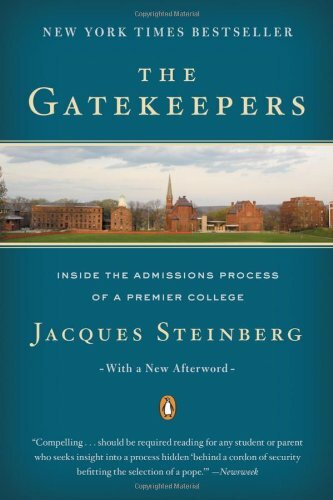 The Gatekeepers follows a diverse group of prospective students as they compete for places in the nation’s most elite colleges. The first book to reveal the college admission process in such behind-the-scenes detail, The Gatekeepers will be required reading for every parent of a high school-age child and for every student facing the arduous and anxious task of applying to college.